The mission of the Genesee Valley Handspinners Guild, Inc. is to preserve the ancient art of hand spinning by increasing our understanding and improving our own skills, and to share this knowledge with all regardless of age and/or gender. Handspinning is the art of twisting fiber together to form yarn. Spinners use spinning wheels or spindles to add twist to fiber. 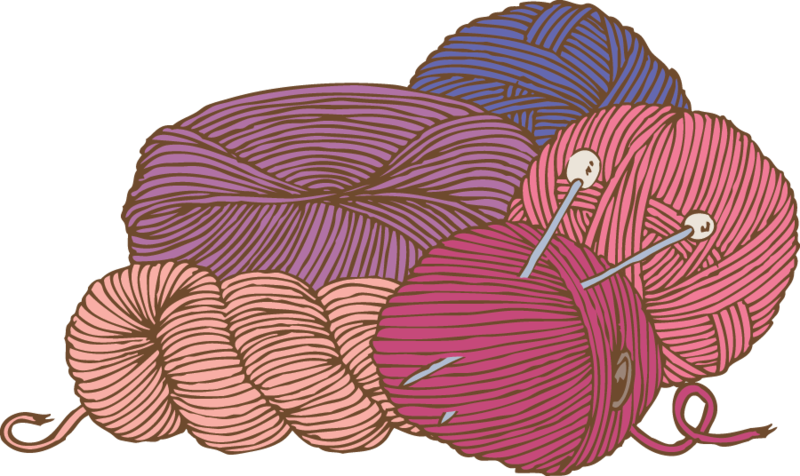 While wool is one of the most common materials to be spun into yarn, there are many options, including other animal, plant, and synthetic fibers. What is the spinning guild? 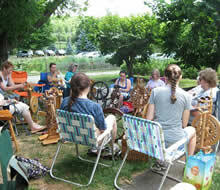 The guild is a group of people interested in various aspects of handspinning. The group formed in 1985 with just a few members and has grown to a group of well over 100. Members include veteran spinners as well as those who are completely new to spinning. 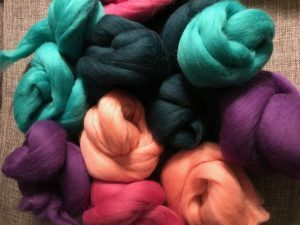 Guild meetings offer opportunities to meet other spinners, learn spinning techniques, and share resources. The guild educates wider audiences about spinning through public demonstrations and the annual Finger Lakes Fiber Festival held in Hemlock, NY. Doors open to the meeting space. Parking is in the lot behind the church and the entrance is in the rear, just next to the parking lot. Business meeting. General announcements, updates from the board, and any other business items are discussed. Show and tell. Members are encouraged to share fiber projects, fiber-related resources, and any events of interest to the general membership. Program. Programs rotate each month and vary from workshops to annual events such as the holiday fiber exchange. Programming is guided by member interests and suggestions are always welcome.